Radio Control for your Simulator! Is it ironic that we need to plug a USB cable into our "RC" transmitters to fly in a computer sim? We think so, and that's why we asked FrSky to build this for us; and they did! 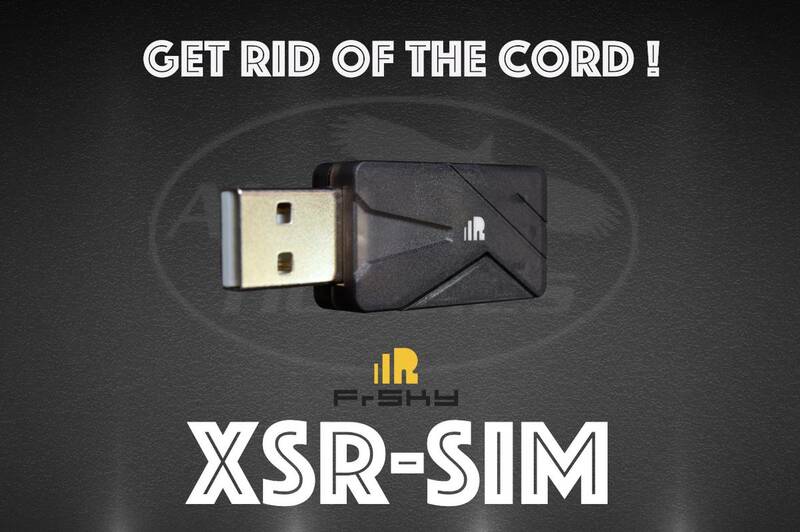 The XSR-SIM provides an additional degree of freedom by allowing us to get rid of the USB cable. It functions very similarly to a Rx, in this case, an XSR. It works like this; create a model in your Tx specifically for the simulator and then bind that model to the XSR-SIM. Instead of sending signals to the servos, the XSR-SIM sends signals into the computer via the USB port. Setting up the XSR-SIM is about as difficult as setting up a simple 4 channel aircraft. Of course, you can make it more complicated if you wish, as the XSR-SIM has eight proportional channels and eight switched channels to play with. So kick back, fly your sim, and don't worry about the cord. FrSky has made a helpful "how to setup" video you can see here.